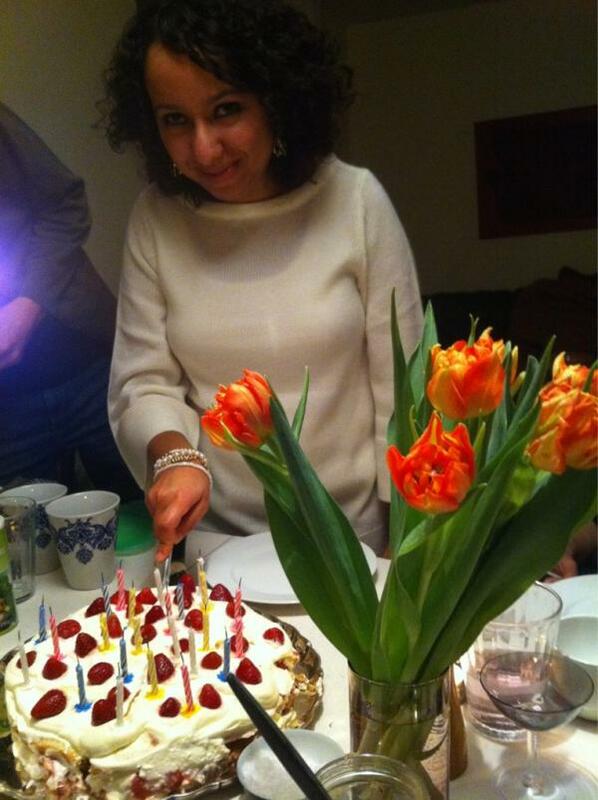 Afrah Nasser's Blog: I'm One Year Older! I start with that saying because I just had my birthday. I'm one year older and one year more "mature". I have been over-joyed since the morning by the Facebook posts, messages and tweets from tens and tens of friends sending me their wishes for my birthday. That was SUPER SWEET. It filled my heart with warmth and joy, and I'm so thankful to have them all in my life in someway or another. I didn't plan to celebrate my birthday this year at all. In fact, I was expecting that it was going to be one so damn "lonely" birthday parties, where I'll just hangout with myself with a nice book and a cup of hot chocolate. However, I was blown away by a surprise birthday party made by some good, sweet & lovely friends of mine in Stockholm; who have already become like a family for me. I really needed this! I so needed one day, just one day of none-politics day, a me-day, a celebration-day, a none-blogging day ,, oh wait! that's not completely true because I'm blogging this at the moment ^__^ ! Anyhow, I was thirsty for such a day and I had it! If filled me with energy to continue the fight and struggle; writing and blogging about Yemen and my people's voice. At the end of the day, I really want to have as many birthdays as I can because I want to live as longest time as I can, to continue writing and doing other stuff for Yemen.